Came into existence in the year 1970, BSC Paints Pvt Ltd, is valued among our customers for the purpose of manufacturing and supplying best quality Paints. The product range is inclusive of Decorative Plain Paints, Stone Effects Wall Coatings and Antique Spray Finish Paints. These paints are processed from quality assured ingredients that are sourced from trusted and reliable vendors of the industry. Moreover, the offered paints are processed in compliance with the industry set norms and regulations by using advanced machinery. Owing to their compositional accuracy and longer shelf life, these paints are highly demanded in the market. Offered paints are used in various households and commercial establishments for painting purposes. Available with us at industry leading prices, these paints are appreciated among our customers. Our large production capacity has helped us in taking and meeting the bulk orders within the assured time frame. By providing our customers with a wide range of unmatched quality paints, we believe in making a long term relationship with our customers. We follow customer centric approach while interacting with our customers, to understand and meet the precise needs of our valuable customers in the most efficient manner. Backed and supported by our manager, Mr. Ishwar Garg, we have been able to cater to the precise needs of our valuable customers in the most efficient manner. He with his experience and knowledge of this domain has helped us in catering to our huge clientele across the nation. Trading of Decorative Paints, Textures, and Stone finishes. Leadership to us means to be ahead of the market, offering new ideas, anticipating and providing sustainable solutions to the paint problems of our customers. BSC Paints Pvt. Ltd. aim at continuously launching innovative and unique product ranges by anticipating future market movements. We harness corporate intelligence and creativity to generate innovative ideas that contribute in building the efficiency, profitability and success of our customer’s businesses. 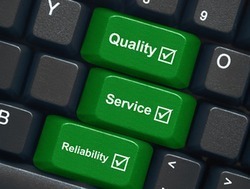 We are dedicated to our customers, partners, shareholders and employees; and we aim to further advance our reputation for expertise, integrity and reliability. We care about our people and truly believe they are our most important asset. Our business is in the provision of long-lasting solutions for the decoration and protection of our customer’s assets. We strive to ensure beneficial and durable partnerships as durability is our motto that we apply through all phases of our operation, plus, we aim at preserving our global environment by providing technologically advanced solutions that lead to durable protection for every project. 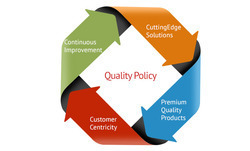 While being "quality conscious" we are equally “price conscious" to ensure maximum satisfaction to our customers . formulation and processing with the support of talented, dedicated and forward looking team. 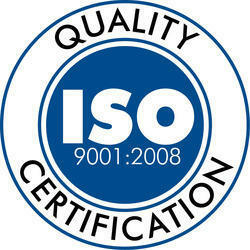 BSC paints follows strict ISO 9001 quality management standards and ISI specifications. We are constantly engaged in delivering value to its customers through innovative technologies, products and services. Company does provide customized solutions as per client requirements. 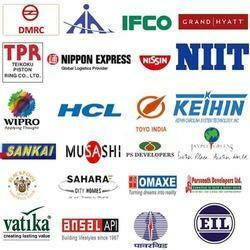 Inclusive of trained and skilled professionals, our team holds expertise in their field of work. We believe that the eye for detail and commitment of our professionals has helped us in catering to the precise needs of our valuable customers in the most efficient manner. By following customer centric approach while dealing with the customers, our employees precisely understand and meet their requirements in the most efficient manner. In addition to this, our employees work in close proximity with each other to avoid any hassles in the workplace. Due to our ability to meet the bulk demands, prompt delivery and quality assured range, we have been able to attain a commendable position in this domain. We follow ethical business polices and transparent transaction practices, in a zest to attain maximum customer satisfaction. Customized packaging solutions are offered, to avoid any adulteration while transportation. We accept multiple modes of payment such as cash, online, credit card and demand draft, keeping the ease of our customers in mind.